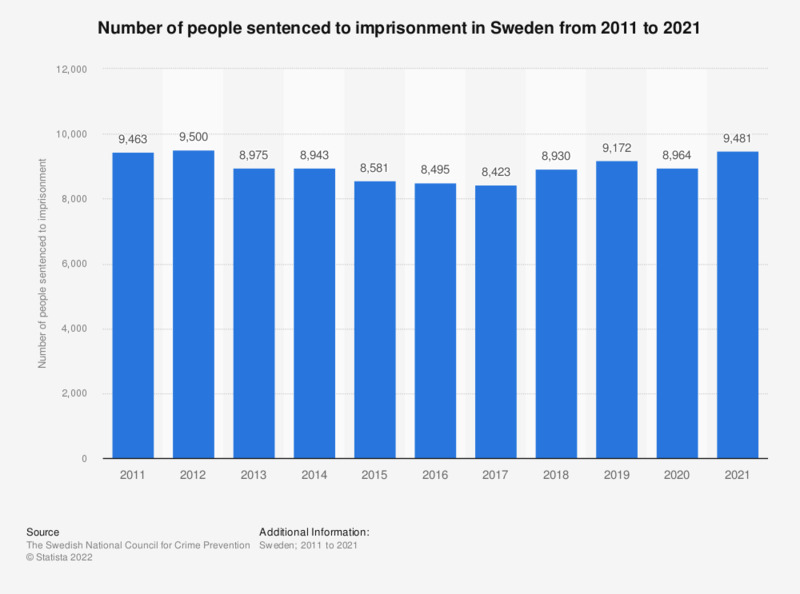 This statistic shows the number of persons sentenced to imprisonment in Sweden from 2007 to 2017. During the time under consideration, the peak year occurred in 2008 with over 10 thousand persons sentenced to imprisonment. From 2008 to 2017, the number of persons imprisoned decreased reaching 8,423 persons as of 2017.